Springer Controls Company is the North American distributor for Texelco, an Italian based signal light and audible alarm manufacturer. 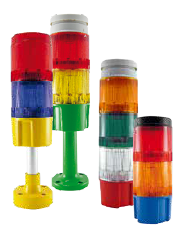 Our stacking indicating lights and audio units come in several model types. 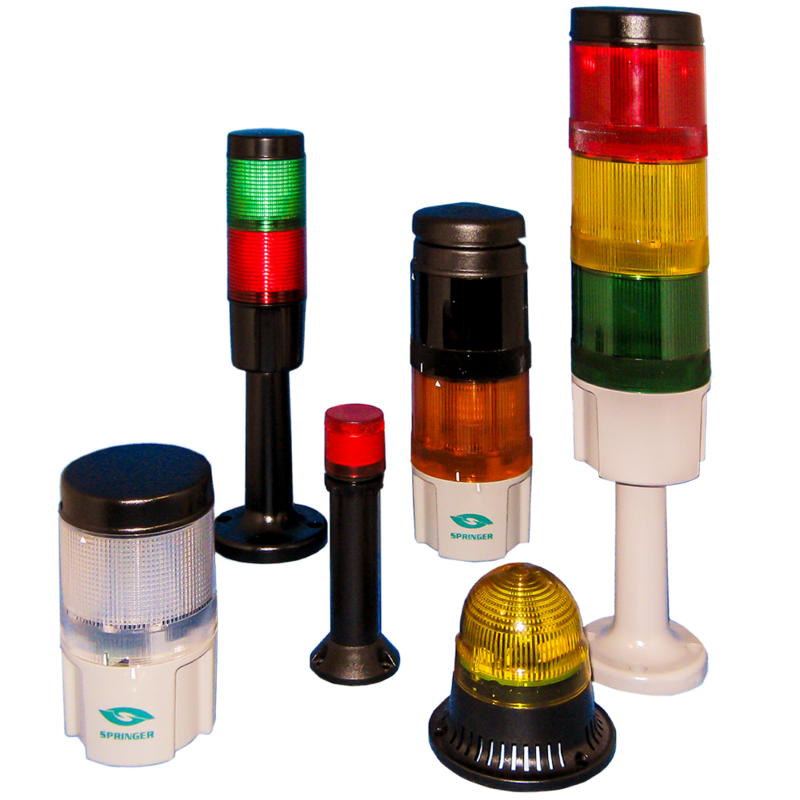 All our signal lights and audible alarms offer a user friendly, fully customizable concept with a large variety of color and sound options. 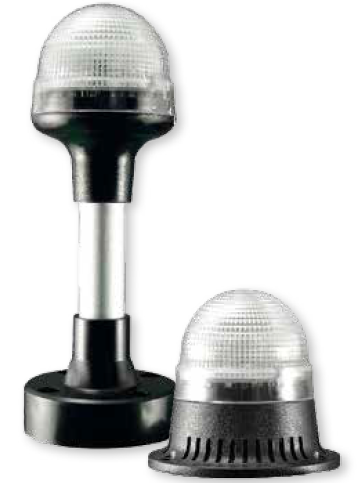 Springer offers a variety of pre-assembled stack lights in many configurations to provide an economical solution for the most common signaling requirements. Springer offers the unique Multicolor feature allowing up to 4 colors to be displayed by a single lamp. 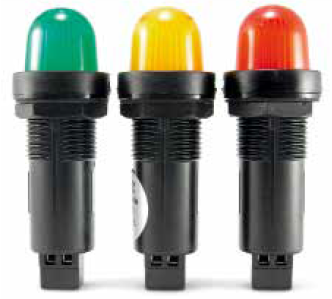 We also have stacks of up to 5 single color lamps together which can be combined with audible signaling modules. We have a range of lamp sizes, and mounting options to suit many applications. For those with more unique signaling requirements, the Series 370 is the industry standard for modular stacking lights. It has a 70mm diameter and can stack up to 7 individual light or horn combinations. Additionally the Series 370 can be configured with the revolutionary Multicolor light, which allows four different colors to be displayed from the same signal lamp. We offer custom light & housing colors and a huge selection of mounting options. 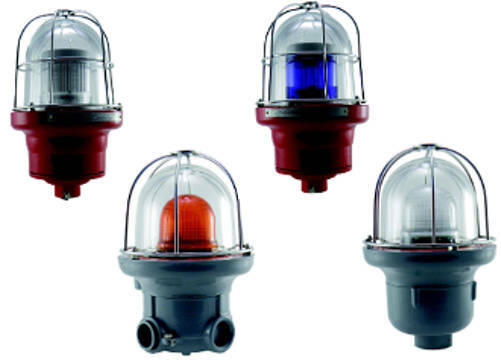 Springer Controls also offers a variety of dome signaling lamps and horns in a range of sizes and colors. Dome signaling lamps are a particularly good choice when only a single light is needed. Bicolor units are available to provide two colors from a single lamp.